It’s always necessary for businesses to come together to share information with one another or to other interested prospects. These gatherings come in the form of conferences and other similar events, and these are usually attended either by other businesses or by prospective clients who are simply looking at the products and services being offered. 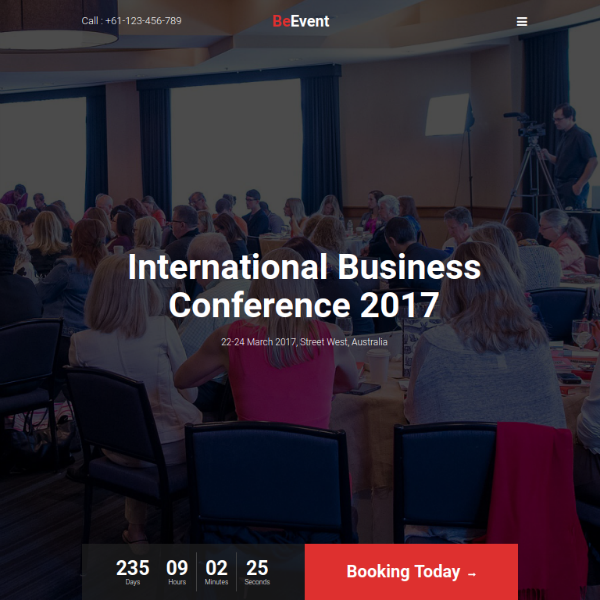 In addition, conferences are either organized by a single business entity, by multiple businesses, or by a third-party association. Having to organize conferences requires a lot of perseverance, you will need to reach out to a large number of businesses and people in order to gather the number of attendees needed for the event to be considered a success. 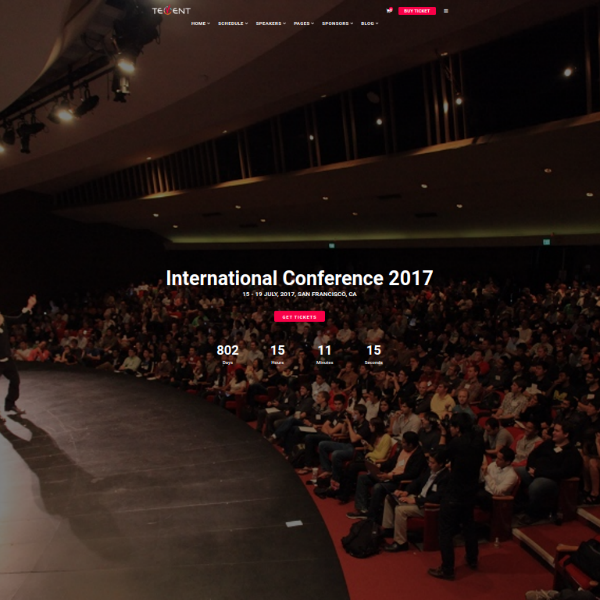 If you wish to help people out in organizing their conferences, do it through a website or an online software. 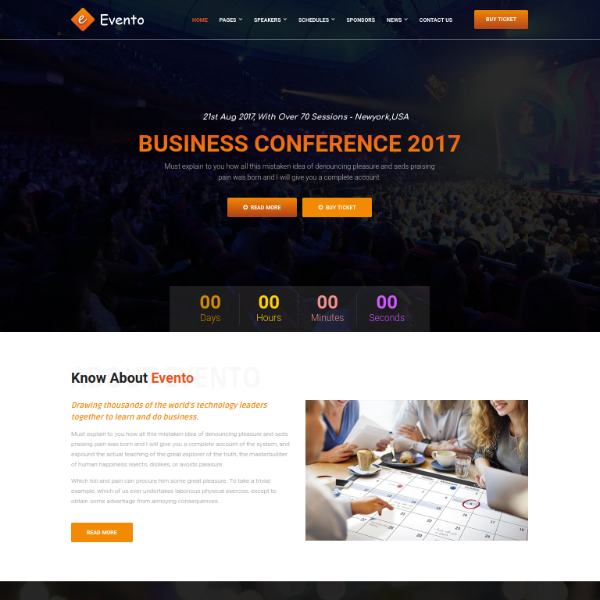 Below are various conference and event website templates to help you get started, go check them out now. 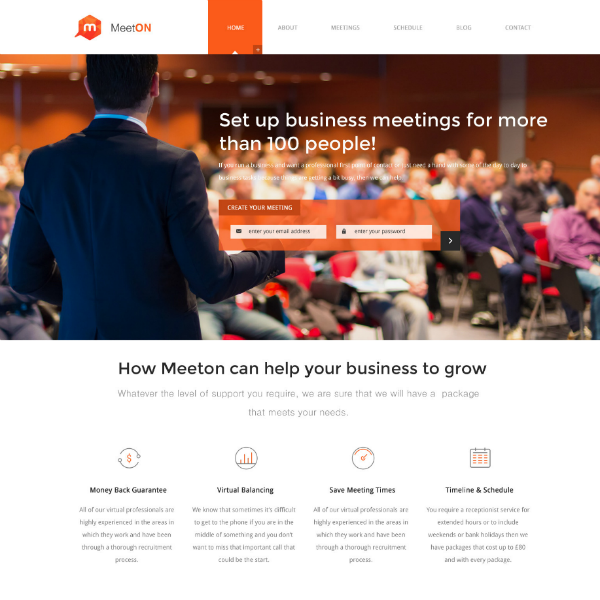 Looking for a trendy conference website that’s also responsive and easy to navigate? 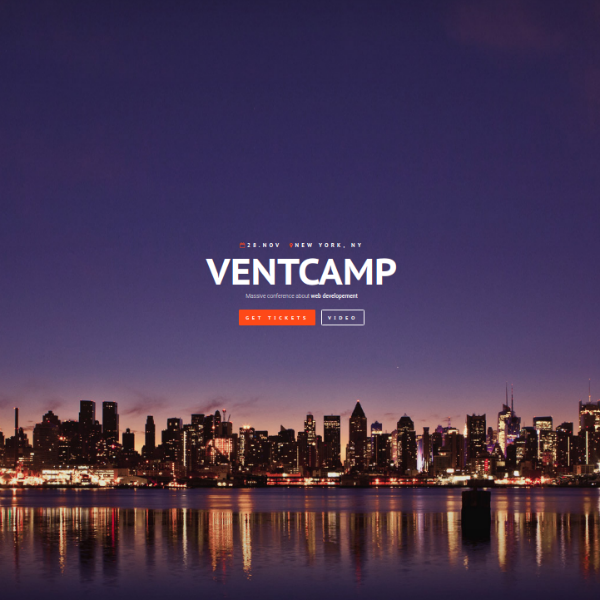 Then check out Ventcamp website template, you’ll be getting five various homepage layouts to choose from, dozens of shortcodes to choose from with over a hundred variations, and an integration with some of today’s most popular online payment methods. Want to help out in planning events and conferences? 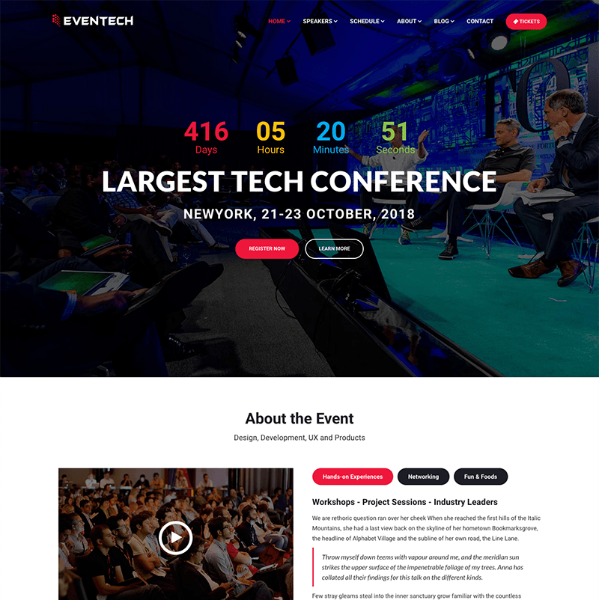 Check out Eventech’s user-friendly website template. This responsive template offers four homepage layout variations, two headers, and designs for multiple pages. The overall design for this template is based on Twitter Bootstrap 3, which makes it highly easy to understand and manage. 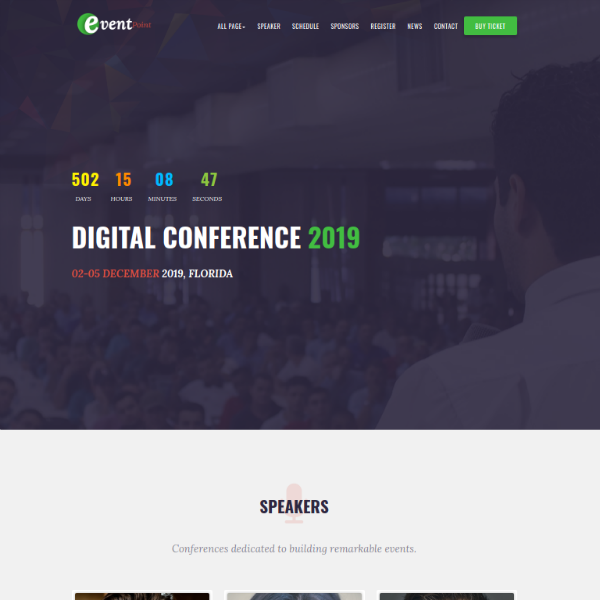 If you need something that’s compatible across different browsers, then Limtaz’s conference website template might be the best choice. Other features include eye-popping hover effects, a clean and modern design, and a 24/7 customer support. Also, you are allowed to use Google fonts for this template, which makes it even better. If you prefer to use Joomla to build your website, not to worry because we have a few templates here designed specifically for Joomla starting with this one. 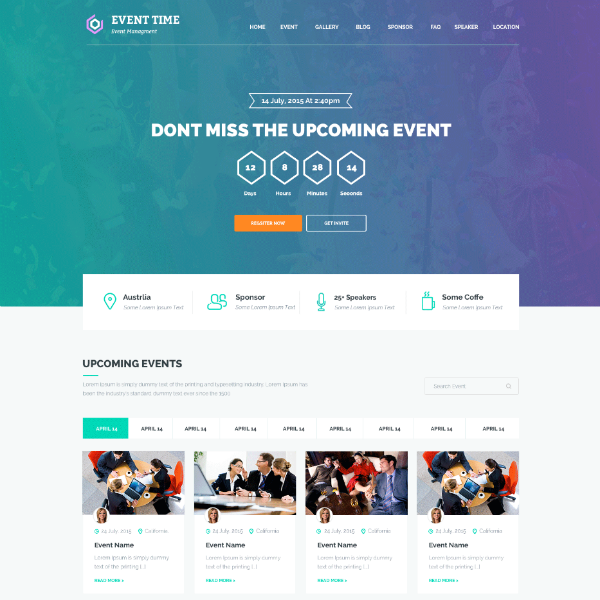 The best thing about this template is that it has the ability to quickly adapt to any platform, which means regardless if you’re using a computer or a mobile device, this website will look astounding. We guarantee that this website template can help boost your conversion rate because visitors will be highly impressed on what you have to offer for them. 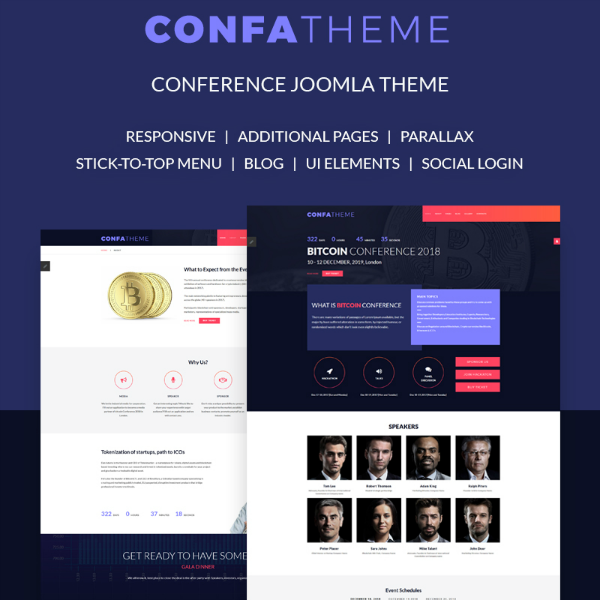 Here is the other Joomla-based website template that you might want to get your hands on. 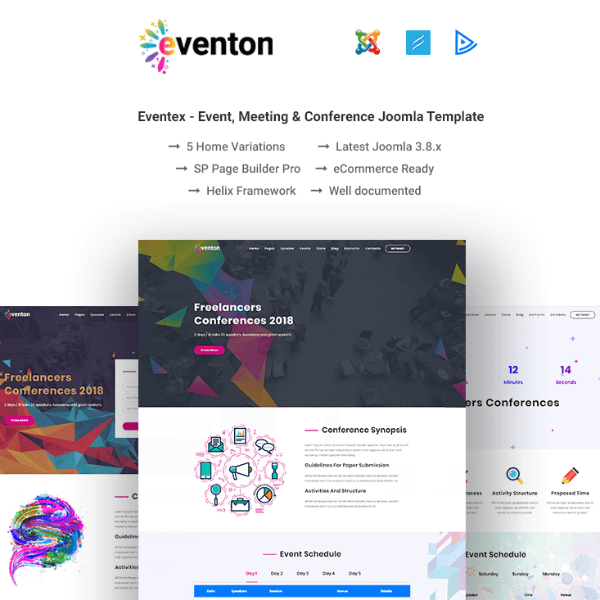 Eventon’s conference and event website template is not only beautiful but also very responsive, making it perfect for organizing events and conferences. This template is packed with tons of features which are too many to mention, if you want to see the features yourself, click on the link provided above. For a minimalist template title such as Mae, you know that this template leans heavily towards simplicity. 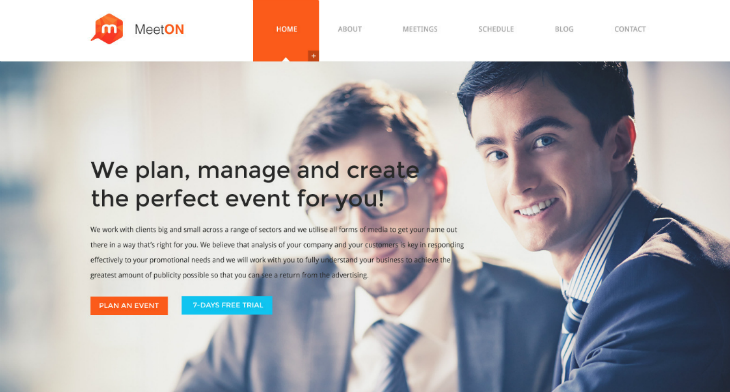 But don’t let that give you the wrong impression, this website template is impressive-looking as it is responsive, which makes it worthy of your $24.00. Don’t believe us? Click on the demo button above to see for yourself. Let’s face it, not everyone is that literate when it comes to using computers, which is exactly the reason why these people either prefer to use the old-fashioned methods, or the constantly ask assistance from other people to help them out. Perhaps one of the best ways to work around this is to make the website user-friendly, but what does that mean? The term user-friendly is commonly used to refer to a program or software that is very simple to learn, understand, and use. There are many ways in which a program can be considered as user-friendly, and these range from thorough “How-To’s” to making elements relatively easy to find. Below are some tips on how you can pull this off for the sake of those who aren’t computer literate. One of the best ways to make your website user-friendly and keep people engaged in it is to build a responsive and lightning fast website. Users should be able to see what they want to see without having to worry whether they clicked on the wrong link or not. And when it comes to speed, the best user-friendly sites should be able to load for no more than three seconds. According to one study, more than half of website visits were abandoned because they took longer than three seconds to load. Another good way to make your website user-friendly is to provide a search bar that provides users with what they need without having to go through the entire website. This is highly reliable even for computer literate people since it helps in saving them a lot of time to find what they need from the website. Nowadays, people take advantage of social media platforms to share information, to do business, or simply to make announcements. One good way to help make a website user-friendly is to make the content easily shareable. This way, people can simply click on a single button or link to be able to share a certain content on social media, making it more accessible to a larger number of audiences. While the previous bullet point was more appropriate to websites that have share-worthy information, this one is for websites that have downloadable content—also abbreviated as DLC. For these websites, downloading their content should come as something natural, it shouldn’t be stressful or confusing. The best way of doing this is to make the download links clear and noticeable, and to also mention about these call-to-action links somewhere along the content. After looking at all those website templates? Have you found the resources you need? Are you now ready to build your own website? These website templates can actually help you out a lot with all the tools and features that they’re offering, not to mention, the freebies that come with it. For the price that you will be paying to download any of these templates, you will be getting a lot more than what you expect, and where else can you find a deal as sweet as that? If you haven’t tried downloading website templates before? Don’t worry, we’ll take you to a simple, step-by-step process on how you can get your hands on any of our website templates in this article. The first thing that you will need to do when trying to download any form of website template here in our website is to look for that particular template that you think is perfect for your purpose. You might not be able to find one that’s 100% accurate, so just look for the template that’s almost as close as to what you want to achieve. After you have found that particular website template, you have the choice whether to download it directly or see a live demo of the website. If it either looks good enough or is exactly what you’re expecting from a template, then go ahead and click on the download button. Both demo and download buttons can be found below the thumbnail image. Depending on the template format and your own preference, open the website template on a website builder that works for you. From there, you can start editing your website according to how you want it. Once you’re done building your website, the next thing that you will need to get your hands on is a website hosting service, and you’ll find lots on them all over the internet, some can be used for free and some for a price. After finding the hosting service that you think works for you, don’t publish your website just yet, go through it all over again. Here, it’s just like proofreading, check out if the website is responsive enough and there aren’t any errors with the spelling and grammar on the content. Running through your checklist—you’re done building your website, you’ve found the hosting service that works for you, and your website is free from any errors and bugs—the last thing that you will need to do is to publish your website. Now that you know what the process is to building your own website, you might want to get into it yourself. But first, scroll back up and download your needed website template.